Andhra CM Chandrababu Naidu said that the state will incur a loss of Rs 1,120 crore due to this price cut. 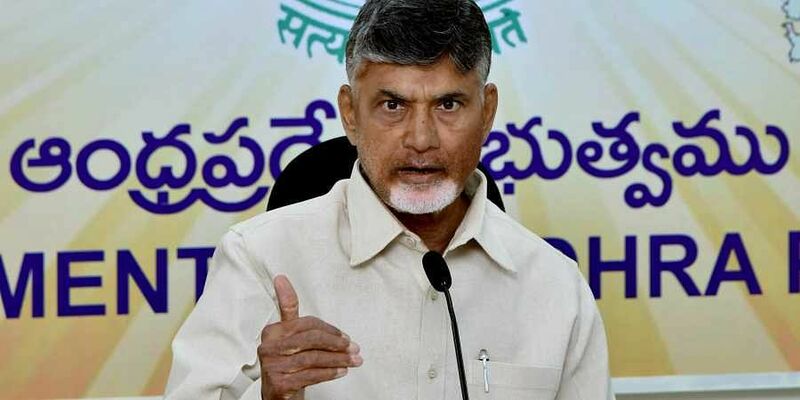 VIJAYAWADA: Giving a partial relief to the aam aadmi from the steady rise in fuel prices, Chief Minister N Chandrababu Naidu on Monday announced a Rs 2 cut in the prices of petrol and diesel per litre. The price cut will come into force from Tuesday. The decision, which would cause a revenue loss of Rs 1,120 crore per annum to the State exchequer, came on a day when the Congress enforced Bharat Bandh against increasing fuel prices. As many as 20 Opposition parties participated in the bandh. The ruling TDP also extended its support to the bandh. Making a statement on the price cut in the AP Legislative Assembly, Naidu demanded that the Centre reduce excise duty and cess on petrol and diesel to provide more relief to people. “Despite financial crunch, keeping in view the trouble being faced by public due to rise in fuel prices, my government took the initiative. The Centre, which had collected excise duty of Rs 23 lakh crore on petrol and diesel since June 2014, should slash the fuel prices as the people are seething with anger over the skyrocketing prices,’’ he said. The taxes being imposed by the State government are 31 per cent on petrol and 22.25 per cent on diesel per litre, besides an additional tax of Rs 4 at present. As the fuel price rise, demonetisation and GST are set to become major issues to opposition parties at the national level in the forthcoming elections, Naidu, whose TDP declared the BJP as its first enemy and is working with the motto of defeating the saffron party, seems to have taken the decision to blunt the opposition parties’ criticism against his government on fuel prices in the State. Meanwhile, the Opposition hit out at the Centre for not cutting the excise duty, which would have substantially brought down fuel prices. However, the BJP government remained unrelenting and termed the situation temporary. Addressing media in New Delhi, Union Minister Ravi Shankar Prasad called high prices a ‘momentary difficulty’. He played down calls for slashing excise duty, noting that the government had already cut levy by Rs 2 last October. Rough estimates show if excise duty is revised to effect a Rs 1 per litre cut in price, the Centre could lose Rs 30,000 crore on an annualised basis. The minister said the ball is in States’ court to cut taxes to help the common man. Some have already started doing that. Rajasthan cut VAT by 4 per cent to effect a Rs 2.5 per litre price reduction in the State. While moving the resolution on reduction of fuel price by Rs 2 per litre in Assembly, Naidu demanded the Centre to roll back the prices of petrol and diesel to protect the interests of common man. Appreciating the State government’s decision, BJP floor leader P Vishnu Kumar Raju said VAT being collected by the AP government is more compared to other States and wanted the State government to further reduce the price of fuel. BJP MLC Somu Veerraju said that while the Centre is collecting Rs 19 as tax on petrol and diesel per litre, the State government is collecting Rs 39. “If the Chief Minister has the guts, let him reduce the tax to Rs 25 from Rs 39. In such a case, the Centre too, will reduce the tax to Rs 9 from Rs 19 per litre,’’ he challenged. Condemning the statement of Union Petroleum Minister Dharmendra Pradhan that fuel prices increased due to rise in petroleum prices in the international market and increase in VAT by State governments, he said that the crude oil price per barrel which stood at $105.52 in 2013-14, came down to $46 in 2015-16 and it is $72.23 now. The price of petrol which was Rs 49.60 per litre in 2014, increased to Rs 86.71 now. Similarly, there was also a sharp increase in the price of diesel, Naidu said. The Chief Minister said the excise duty on diesel per litre was Rs 3.56 per litre in 2014 and it increased to Rs 17.33 by September 2017. The excise duty on petrol per litre rose to Rs 19.48 per litre from Rs 9.48 in 2014. The Central government had also imposed an additional burden of Rs 7 on petrol and Rs 8 on diesel per litre in the name of infrastructure cess, he said. However, the opposition YSR Congress, which boycotted the Assembly session, termed the price cut by Rs 2 a mere eyewash. YSRC spokesperson TJR Sudhakar Babu said that the AP government, which is collecting high local tax and an additional tax of Rs 4, is also responsible for the fuel price rise along with the Centre and demanded Naidu to cut the entire Rs 4 being collected as additional VAT on petrol and diesel per litre. When contacted by TNIE, AP Petroleum Dealers Association State president R Gopalakrishna said that they are satisfied with the decision of slashing the price of fuel by Rs 2 per litre. With this, the prices of petrol and diesel in AP will be 90 paise less compared to Telangana and equal to the fuel prices in Odisha. “We will call on the Chief Minister soon to thank him for the decision. We will urge him to further reduce the price of fuel by Rs 2 per litre. If the government will effect further cut in the fuel price, it will not lose much revenue as the demand for petrol and diesel will increase in the State,” he said.